G S Kelsey Construction were delighted to accompany Shoreline Housing Partnership when the local affordable housing company visited The Willows Academy in Grimsby to run a competition on naming the street of their new development. Work has just begun on “Service Rod 8” to construct 5nr new dwellings for affordable rent. The £500,000 investment from Shoreline Housing Partnership will technically create a new street so Kelsey’s and Shoreline have partnered to run a competition for local school children to help name the new site. Prizes will be presented to pupils that manage to make the shortlist of addresses which will be submitted to North East Lincolnshire Council later this year. The development will require a brand new postcode and street name and Royal Mail will need to be notified about the new address in time for residents moving in during the second quarter of 2017. Our Director, Matthew and Kristina from Shoreline encouraged children to draw on local features to help come up with suitable names for the street. What is currently a “service road” will be transformed into a new cul-de-sac but the design effectively integrates the new houses with neighbouring Saltergate and Melrose Way. 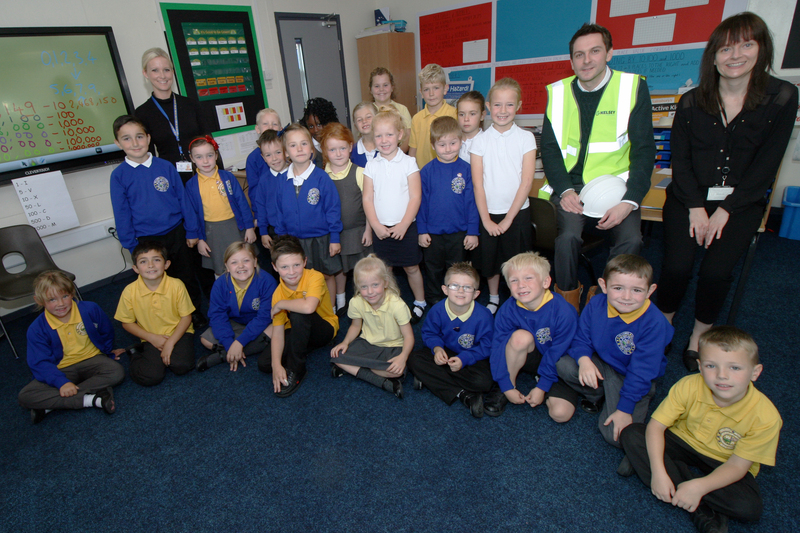 Whilst in attendance Matthew took the opportunity to discuss the importance of children avoiding construction sites. 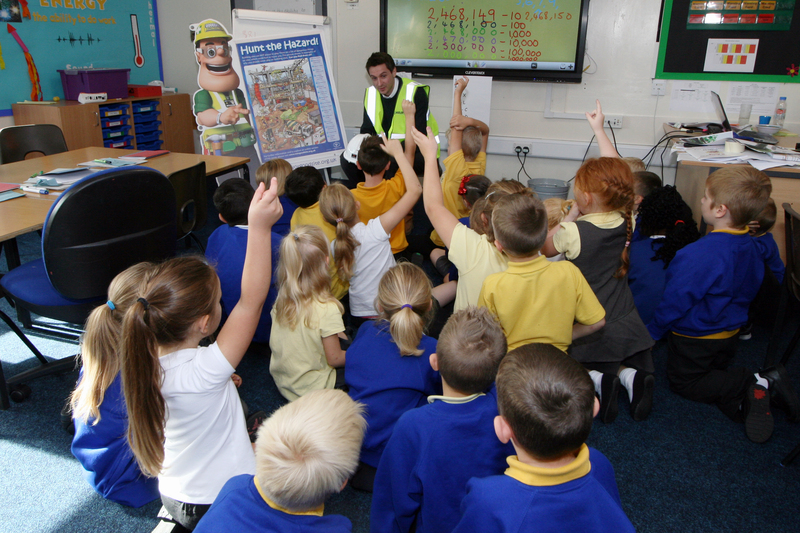 With a little help form Ivor Goodsite he was able to engage pupils in hunting hazards on building sites and have them comprehend the implications of trespassing into dangerous areas! Stay tuned for an update when we will announce the shortlist of addresses and the pupils who came up with the most imaginative names! !